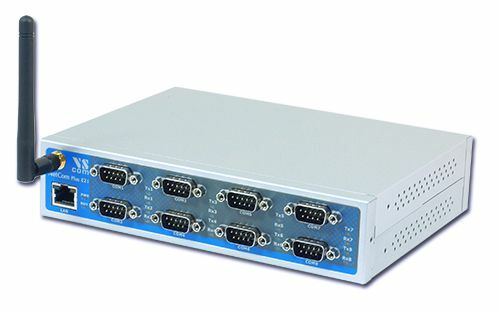 VSCom Serial Device servers are small computers, which allow you to connect existing RS232 or RS422/485 devices to Ethernet and Internet. Netcom servers are equiped with CPU, memory, realtime OS and TCP/IP protocols to bidirectionally translate data between serial interfaces and TCP/IP sockets. NetCom servers are easily configured over WEB browser, driver panels, Telnet, serial port, SNMP. NetCom servers offer a transparent serial connection without platform and distance limitation. The NetCom Plus Serial Device Server offer a special option to use viaVPN. This system provides for secure but easy-to-use Remote Access via Internet and Cloud Servers.